She was the one running France in place of her incompetent sons. She was not a very good politique because she ordered the massacre of Huguenots on the wedding day of Henry of Navarre. It was the day of Henry of Navarre's wedding and Catherine de Medici ordered the massacre of the Huguenots attending. The Pope was ecstatic when he heard about it. "Paris is well worth a mass" The Edict of Nantes said that the people could chose what religion they wanted to practice, but the Huguenots had to live in close areas. He was a politique because he wanted peace more than forcing religion. He was stabbed by a religious zealot. He turned power over to Richelieu. The French Academy was an attempt to standardize the languages of France. He controlled the nobles by tearing down their castles and took away fun lifestyle. He hated the Hapsburgs, so he supported the Protestant side in the Thirty Years War. He took away the fortifications of the Huguenot cities. Richelieu sends the French troops, so the Hapsburgs could be defeated. "By this time is over, France is the strongest country in Europe"
This was when Carlos II of Spain willed his throne to Phillip of Anjou, who was Louis XIV's nephew. If this would happen then France and Spain would be united, and the rest of Europe did not want that. This was resolved by the Treaty of Utrecht. The Grand Alliance won. Madame du Pompedor. Art style was Rococo. Austria versus Prussia on the continent fighting over territory. Off the continent is was Austria's allies (Russia and France) versus Prussia's allies (Britain). Britain wins. Treaty of Paris (1763) no major changes in Europe. Off continent Britain gets all of France's colonies in North America. Spirit of Laws was published this year. He believed in separation of powers. Published Candide this year. He believed in freedom of speech and hated the Catholic Church. He published Social contract this year. He believed that government should follow the General Will of the people. Emile was published in 1762 and he believed that children should be cared for and loved and should learn by experience and not teaching. He was considered counter Enlightenment because he believed in emotions and nature. He was wishy washy and indecisive. His wife was Marie Antoinette. She spent money like crazy and she served as the epitome of everything wrong with the upper class, "Madame Deficit". He was beheaded and the charges were treason. France helped because they were very bitter against Britain and wanted to see them lose. It was because of the support of France that the colonies won the Revolution. Abee Sieyes wrote a pamphlet saying that the third estate should control politics and attacked the privileges of the nobility and the clergy. Assignats were the money issued during the French Revolution. Civil Constitution of the Clergy subordinated the Catholic Church in France to the government, this was the biggest mistake of the Revolution because a lot of people stopped following because they were devout Catholics. The Constitution of 1791 declared that the France was now a constitutional monarchy. National Convention and the Committee of Public Safety was headed by Robespierre.National Convention declared France a republic. The Reign of Terror was the height of the beheading in the Revolution. Thermidorian reaction was when people began to turn against Robespierre and his government. The Directory was set up after the Revolution had collapsed. They were bad but offered some stability. The Concordat of 1801 was an agreement between Napoleon and Pope Pius VII that solidified the Roman Catholic Church as the majority church in France and brought back its civil status. The Napoleonic Code was an enlightened code because it offered equal tax for everyone, brought back primogeniture in a way, helped the peasant class. The Continental System was a ban on exports and imports from Britain and it was aimed against Britain. Napoleon's Empire was France Proper, Dependent states, and Allies. http://www.cla.calpoly.edu/~lcall/111/napoleon_empire_1812.jpg The Peninsular War occurred when Napoleon invaded Spain and tried to force the Continental System on them and he was attacked by guerilla fighters. Russia disobeyed him and he marched into Russia in the midst of winter and the Russians just burned everything so the French soliders were forced to retreat. The Hundred Days is when Napoleon returns for 100 days after he has been banished to Elba. Waterloo is Napoleon's ultimate defeat. He was Louis XVI's youngest brother. The Charter of 1814 helped the people a lot because it kept the Napoleonic Code and religious agreements and added the Chamber of Deputies. The 3 goals of the Congress of Vienna is the balance of power, preventing political revolutions, and placing boundaries to contain France. Talleyrand was France's representative. France was treated fairly well. Extremely conservative. The July Ordinances dissolved the Chamber of Deputies, decreased the number of voters, and controlled the press. The people reacted with the July Revolution and erected barricades throughout Paris in opposition. It was against Charles X. The people of Paris revolted by erecting barricades throughout the streets. They had a republic, a unicameral legislature was elected. All males could vote. The President was Louis Napoleon Bonaparte, would later become Napoleon III. Heavily influenced by Socialism. It was against Louis Philipe and his prime minister Giuizot who outlawed public banquets. A provisional coalition government took over. Louis Blanc was a Utopin Socialist and he wanted national workshops. It didnt work out because the government had no money to fund this. They were rioting against the provisional government because the national workshops had to close due to no available funds. A Republic took over. The center of his belief was salvation through faith. Priesthood of all believers was everyone was equal in the eyes of God. Very conservative in belief of government. It was when Luther got called out and Charles V wanted him to recant. Luther refused. They used the priesthood of all believers to revolt and say they were equal economically and socially. Luther wrote the Murderous and Thieving Horde. It was to strengthen the Catholic Church and try to compromise with the Protestants. It was successful because it got rid of indulgences and simony and educated clergy. The Protestant League versus the Catholic Princes. The Peace of Augsburg was the result. Map after this peace http://wps.ablongman.com/wps/media/objects/262/268312/art/figures/KISH_14_330.gif, Calvanism was included in religious settlement, Netherlands became independent. The three goals were to restore balance of power, restore old Monarchy, and war reparations. Russia ended up with half of Poland, Concert of Europe was how they described the Congress of Vienna because it was a big party with Beethoven. This was when the peasants had to work a ridiculous amount of hours and days. The Pragmatic Sanction said that Maria Teresa could inherit the throne to keep the Hapsburg line going. It was Prussia vs. Austria. Prussia won and they got Silesia. It was Prussia vs Austria on the continent and Prussia allies vs Austria allies in North America. Prussia and Britain won. His mother was Maria Teresa. He abolished the robot, serfdom, controls the church, reduces taxes for everyone, religious freedom including Jewish people. "First Servant of the State" Freedom of press, government bureaucracy, religious tolerance, general education rules, first German law code, and agricultural reforms. He broke the Pragmatic Sanction and invaded and took over Silesia. Austria vs. Prussia on the continent. Prussia won. He was a German philosopher and author. He hated autocracy and pushed for democracy. It was about the unification of Germanic states. 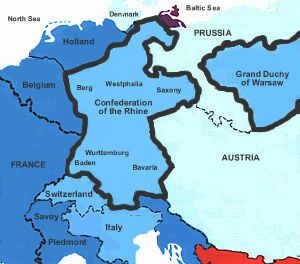 Gross said that Austria should be included in unification, whereas Kleine said that Austria should not. Published Encyclopedia of Philosophical Sciences this year. He said that as one regime comes to an end another will take its place. Thesis goes to synthesis to antithesis. Wrote a new constitution to provide for an elected parliament and would unify German empire. Offered crown to Frederick William IV but he didnt want a crown offered by the people, but by the princes. The unification movements in 1848 were unsuccessful because there were 3 different groups who wanted different things. Lorenzo di Medici ruled. Powerful because they were a wealthy banking family. He was the son of Pope Alexander VI. He was admired by Machiavelli because he was trying to unite Italy. He was the ruler of Florence, a patron of the arts, and head of the banking family. The Prince was published this year. It says that It is far better to be feared than loved. The ends justifies the means. Published Book of the Coutier this year. It outlines the perfect Renaissance man, who knows a little bit of everything, and the women are decorative and silent. On Crime and Punishment. He said torture for prisoners should be abolished and they should be treated better. It was the unification started by the carbonari. 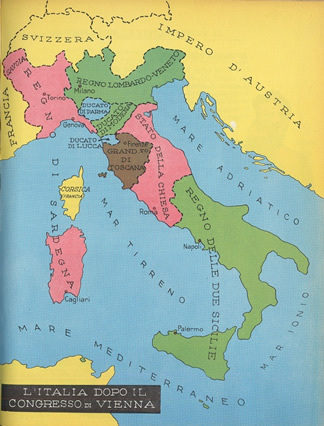 The Young Italy group wanted democracy, Sardinians wanted constitutional monarchy, and Neo Gulfs wanted Catholic Theocracy. He was the heart of unification. He led Young Italy. He wanted democracy.